Tom Sawyer Island Frontierland attraction at Disneyland; opened on June 16, 1956. Guests can explore at their leisure, after reaching the island by raft. Some of the points of interest are the Suspension Bridge, Barrel Bridge, Injun Joe’s Cave, Castle Rock Ridge with its Teeter-Totter Rock and Merry-Go-Round Rock, and Fort Wilderness. Also in Magic Kingdom Park at Walt Disney World; opened on May 20, 1973. The fort in Florida is Fort Langhorne (formerly Fort Sam Clemens). Aunt Polly’s Landing (in 1995 it became Aunt Polly’s Dockside Inn) sells refreshments on the island. Both islands were in the middle of their respective Rivers of America on opening day, but the attractions were not built until many months later. 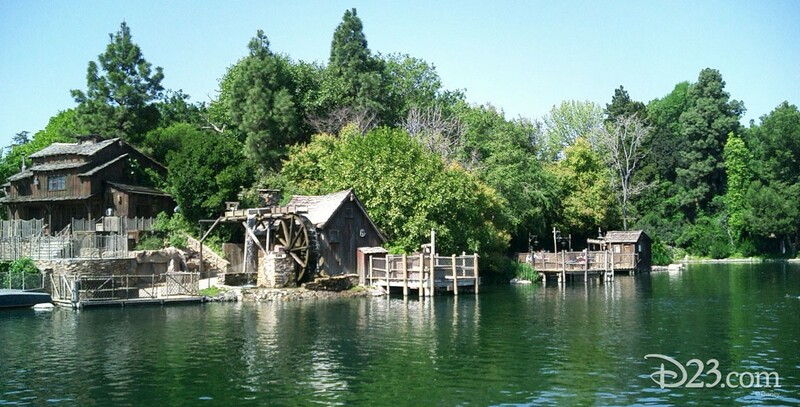 At Disneyland, the island became Pirate’s Lair on Tom Sawyer Island on May 25, 2007, with the island receiving a pirate overlay to tie in with the release of Pirates of the Caribbean: At World’s End. Harper’s Mill became Lafitte’s Tavern and Injun Joe’s Cave became Dead Man’s Grotto. At the same time, the aging Fort Wilderness was torn down. Also in Westernland at Tokyo Disneyland.